A new report from Koya Leadership Partners reveals that nonprofit boards are still suffering from a lack of diversity, even though board members are keenly aware of how important inclusivity is. These findings are based off an online survey that was administered to board and executive committee members at more than 100 nonprofits. 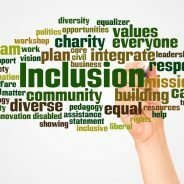 The report, entitled, The Governance Gap: Examining Diversity and Equity in Nonprofit Boards of Directors, found that while respondents would like to increase diversity, they failed to take the proper actions to do so. The reason, according to the report, is that they lack the knowledge, resources, skills, and commitment to do so. Of those surveyed, only 24 percent self-identified as a person of color. The majority of respondents, 61 percent, said that their board does not “adequately reflect the community/communities [the] organization serves.” An even larger majority, 70 percent, said that they were not “content with the current level of diversity and inclusion represented.” Even more telling: a whopping 74 percent claimed that their boards do not have a written policy or statement on diversity and inclusion. Part of the problem, according to survey participants, is that boards prioritize fundraising over increasing diversity. From a hiring perspective, there is no excuse for not hiring more people of color, the report’s authors argue, given that there are plenty of qualified candidates who are racial minorities. Included in the report is a list of recommendations for increasing diversity. Suggestions include compiling a list of candidates that contain an equal amount of racial minorities; avoiding nepotism; and steering clear of tokenism by hiring multiple board members of color. “We hope the findings and recommendations in this report spark conversation—and, more importantly, action—on boards. There is much that every board member can do, starting right now, to help build a more representative, equitable, and inclusive organization and nonprofit sector,” the report concludes.